Farewell 9A. I never got the opportunity to try your fried chicken and red velvet waffles. I had a fun night for Jameela’s birthday some years back where we saw reality stars from Black Ink Crew and Blood, Sweat and Heels. Then there was that time I wanted to take Rain there for her birthday, but they wouldn’t honor our reservation so we had to go to Heights Tavern instead. 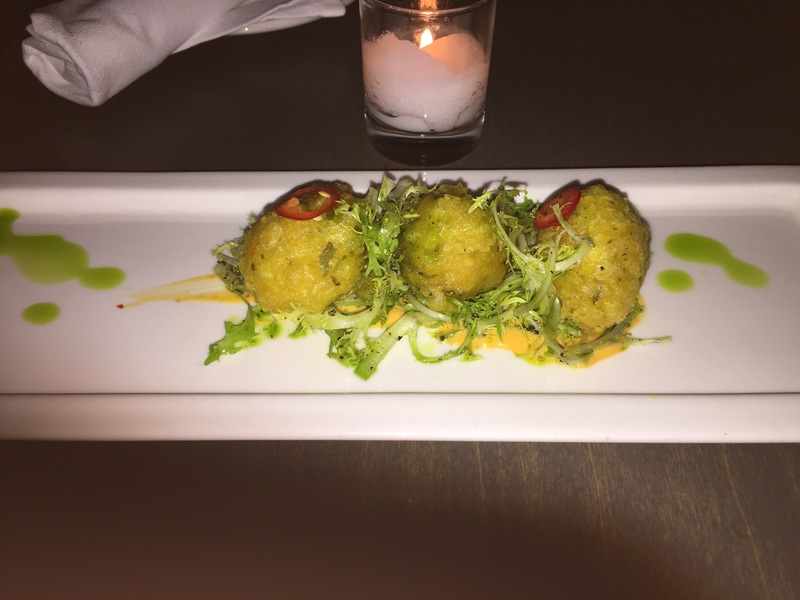 I was elated to discover that a trendy Caribbean themed restaurant opened in 9A’s place. I read somewhere about a signature cocktail created with their house made ginger beer and that is what reeled me in. 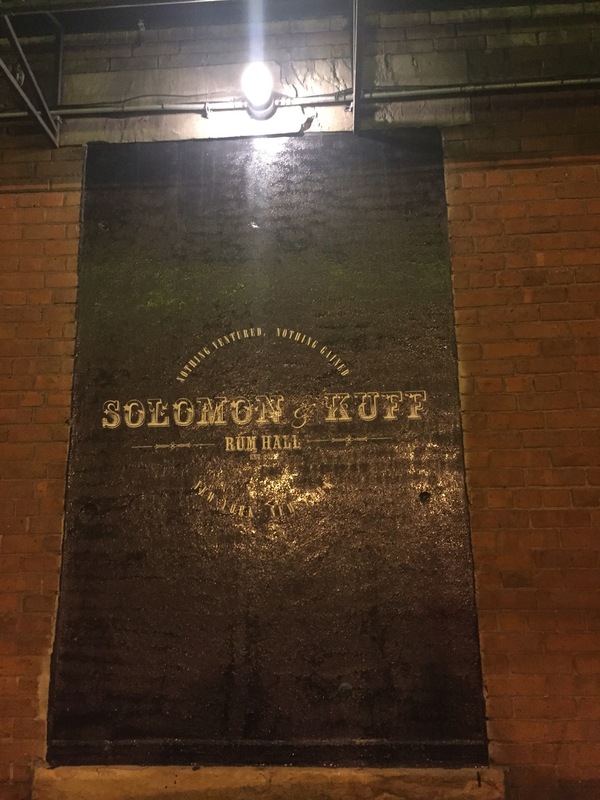 Solomon & Kuff made for a nice date night. Besides their food being a bit spicy and their over priced drinks, it is a great place to visit. I love the food! Everything I tried was delicious. Their sliced conch in hot chili oil was good. 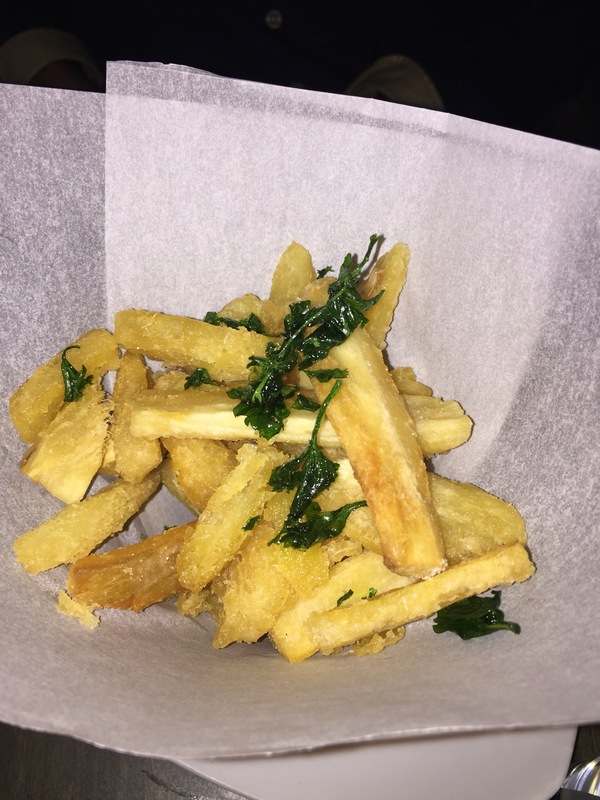 Their yucca chips and Solomon’s burger were oh so yummy! 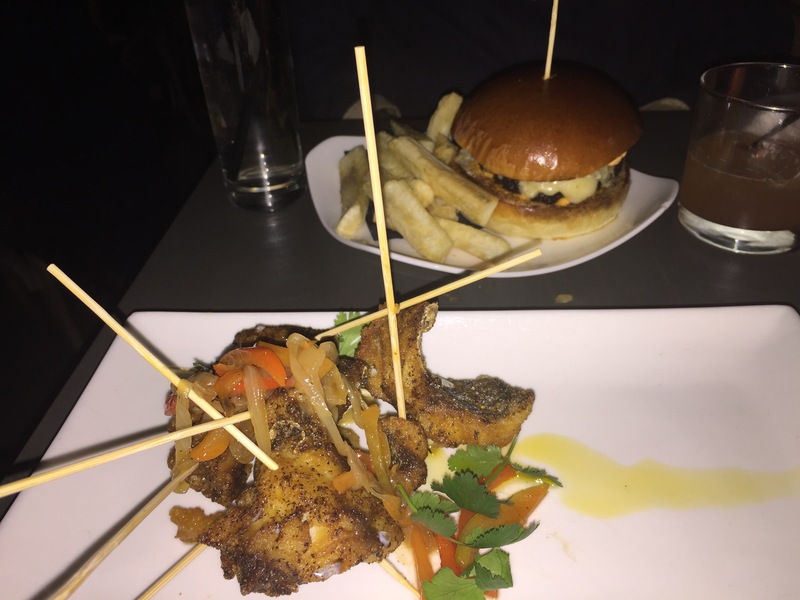 The Escovitch fried porgy skewers with an onion marmalade was insanely good. The fish is fried crispy and seasoned perfectly. 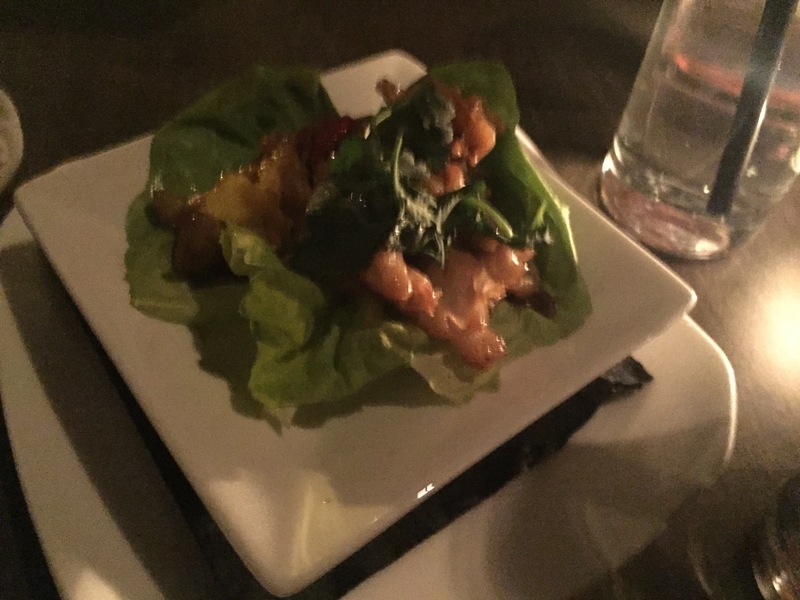 It had a tolerable spice that gave the dish a delightful kick which would be loved by those who appreciate spice in their dish. 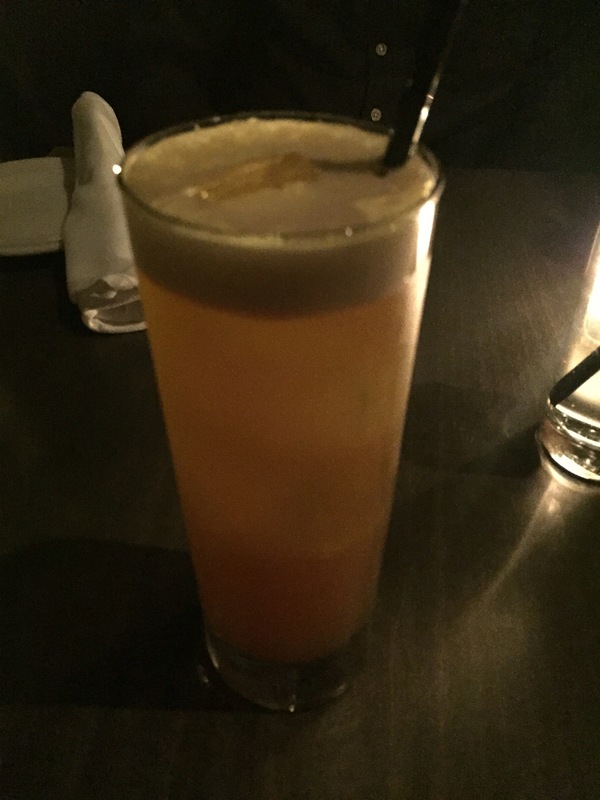 Their S&K Dark-N-Stormy cocktail was the perfect choice for a late night sip – dark rum, Jamaican rum, and house made ginger beer will have you savoring every sip. Deep in Harlem, you suddenly feel as though you’ve been swept away to a night in negril – yeah mon! I love this restaurant – the food, the dark romantic atmosphere, the soft island tunes that play in the background. This is a place I would happily frequent. Well you won me over. Can’t wait to try it out also great read.